A top Clinton official acknowledged to volunteers in Austin Sunday evening that the campaign should have built up its organization in the state earlier ahead of the March 1 primary, yet predicted Clinton will still do well in Texas. 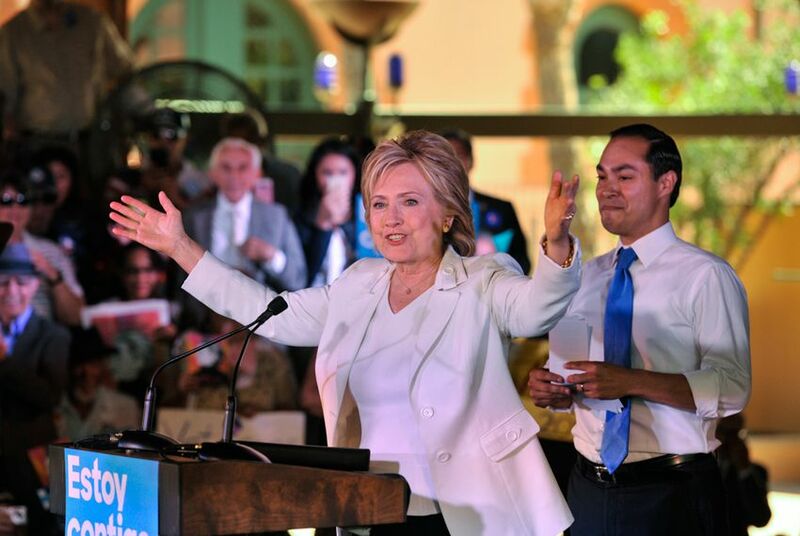 After Amanda Renteria introduced herself to a crowd of die-hard Hillary Clinton supporters in Austin Sunday evening, she asked how many in the room thought the Clinton campaign should have been in Texas a month ago. Many hands in the room went up. “Two months ago,” called out one volunteer among murmurs. It was a sentiment Renteria, the Clinton campaign’s national political director, had been expecting. While pointing to some volunteer-led events as evidence that grassroots support for Clinton in Texas had been building for months, the campaign hasn’t yet done the work needed to consolidate support ahead of the March 1 primary, she admitted. Clinton has made several campaign trips to Texas for public events and fundraisers, and she has long-standing ties to the state. Yet some of her supporters worry that's not enough. The campaign for U.S. Sen. Bernie Sanders of Vermont, who is challenging Clinton for the Democratic nomination, has had paid staff in Texas since November and has a campaign headquarters in Austin. Clinton’s campaign announced its first hire, Houston community activist Carlos Paz Jr., just last week. Further concerning Clinton backers is recent polls suggesting a tightening race between Clinton and Sanders in Iowa, where the first-in-the-nation caucus will be held on Feb. 1. Clinton is also polling behind Sanders in New Hampshire. Renteria attempted to downplay the significance of the outcome of the early primary states Sunday. While acknowledging that the early nominating contests in Iowa, New Hampshire, Nevada and South Carolina remain important, Renteria stressed that they will not decide who gets the Democratic Party’s nomination. “I want to come out of there 4-0, but at the end of the day it is 4 percent of our delegates,” Renteria said. Following Renteria’s pep talk, Paz led the room of Clinton volunteers through techniques that the campaign wants them to use around the state as part of broader mobilization efforts. At the same time Renteria and Paz were speaking, Jacob Limon, Sanders’s Texas state director, sent out an email to supporters to promote a statewide “day of action” on January 31. Citing the recent news of Paz’s hire as evidence of a growing Clinton presence in the state, Limon warned Sanders' Texas supporters against getting complacent should Sanders score some early victories. Correction: An earlier version of this story incorrectly described how many attendees responded to a question asked by Amanda Renteria, the Clinton campaign’s national political director.